Jewelry is necessary for women, it is the same as skin care product. The woman likes jewelry, which also is a natural instinct. From the first pink necklace in young age, every girl was fantasying how rich their jewelry box will be in the future. When it comes to the jewelry, necklaces, bracelets, and earrings are the most common to us. Only does the ring have a special sense of holiness. To some extent, it means love and oath. Today, we will bring another kind of special rings for women -animal rings. 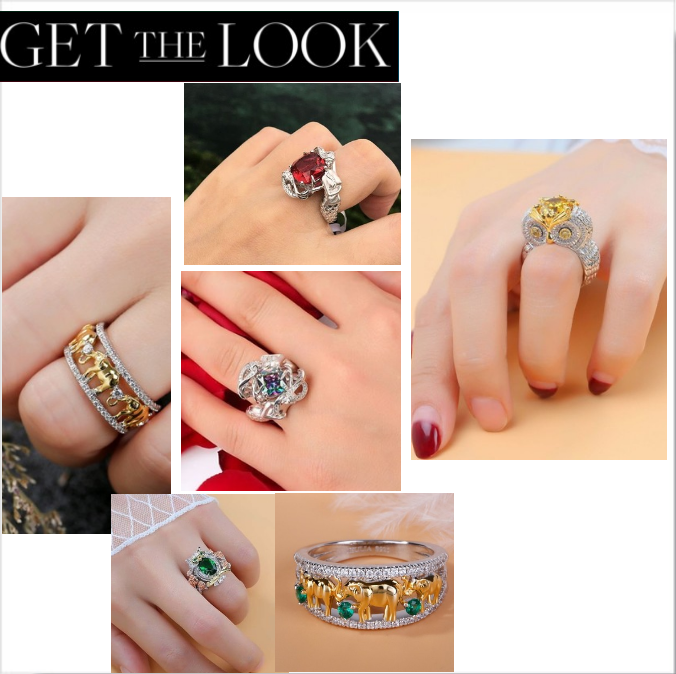 With the growth of age, in daily life, while attending a pleasant party, we often need to decorate and embellish our finger with the ring, or it looks like lacking something more or less. It may not be your wedding or engagement rings. How do you think about animal rings? Every woman still has a little girl in their inner, and they can’t resist all pretty things. Cute animal rings cannot only perfectly sublimate this feeling, but also make you fashion. Every ring is designed with the inspiration of animal, sterling silver texture, three-dimensional design, inheriting classic, fashion and all-match. Compared with the holiness of wedding rings, animal rings are more accessible, but also noble. As if there is an elf which jumps at your fingertips.